Immerse yourself in a relaxing soak with these lavender scented bath bombs. 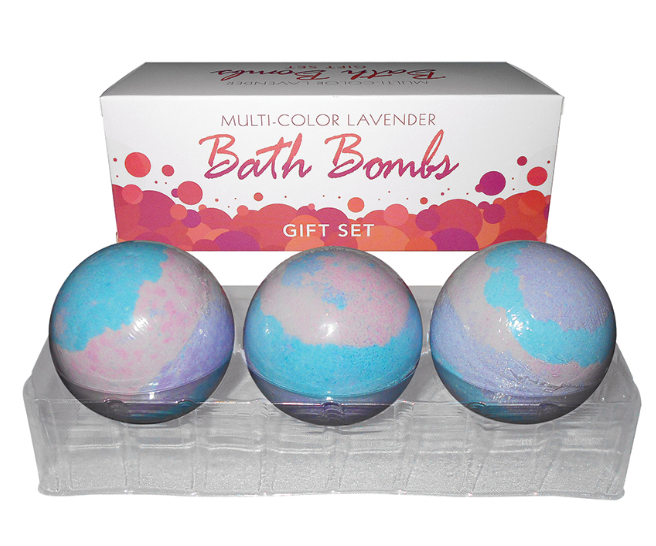 The multi-colored bombs come in sets of 3 and dissolve in calming hues of purple, pink, and blue. They also produce a luxuriously light foam.